The CityLifeStylist: Clinique Bonus Time 2011! It's that time of the year again, ladies! 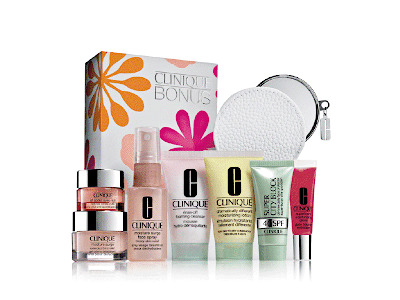 Buy 4,500PhP worth of Clinique products and get a gift package, including all of the items above, absolutely free. Dramatically Different Moisturizing Lotion (30ml) - One of the best moisturizers around! The free items you'll be receiving are worth 4,000 PhP. Sweet deal, huh? For more information, check out Clinique Philippines on Facebook.